Far Cry 5: New Dawn is set in a post-apocalyptic setting. Far Cry: New Dawn is a standalone sequel to Far Cry 5 & the game is set 17 years after Far Cry 5’s ending. You will explore the wasteland of Hope County & beyond to crush a brutal gang of marauders led by twin sisters. Your pet friends are a dog & a pig. We have added everything we know in Far Cry: New Dawn review which offers information about its gameplay, story, release date, preorder editions, trailers & walkthroughs. Far Cry 5: New Dawn is similar to Far Cry 5 but the game is set in a post-apocalyptic setting & there are few new features in this game. You can support survivors, discover an open world, craft weapons, attack outposts, build your base & more features are available in this game. Far Cry 5: New Dawn allows you to craft weapons for example you can build CO2 powered crossbows that shoot saw blades. You & your co-op allies will be leading a group of survivors & your team must fight against a gang of evil raiding highwaymen & you will also fight monsters. You can see the Far Cry 5 antagonist Joseph Seed at the end of the trailer but we have no idea how he fits into the story of this game. Far Cry 5: New Dawn appears to be a short game like Far Cry 3: Blood Dragon. Far Cry: New Dawn costs $40. 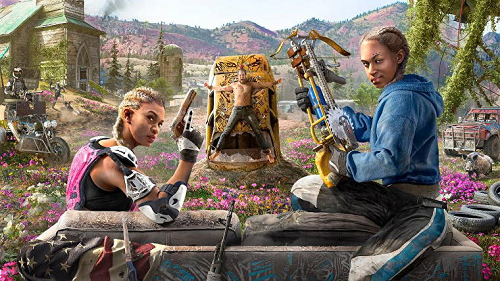 Far Cry: New Dawn trailer shows a settlement that is attacked by a group of raiders led by twin sisters who look determined to either take it over or burn it down. 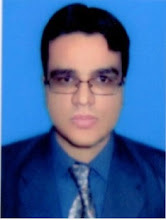 The trailer includes friendly animals & weapons that look strange & there are dangerous vehicles. You can recruit specialists & improve your base. They will help you in unlocking all fresh features including crafting weapons, gear & more. The ending of Far Cry 5 saw nukes dropping from the sky, killing nearly all life in Hope County. The game is set in a colorful post-apocalyptic version of Far Cry 5’s map & puts you up against twin sisters & their gang. You can pre-order Far Cry: New Dawn now. We have added various editions of Far Cry: New Dawn that can be pre-ordered along with their prices. You can pre-order either versions of Far Cry: New Dawn & get Unicorn Trike vehicle for free. You can preorder Far Cry: New Dawn standard edition to get the game & the preorder bonus. You can get Far Cry: New Dawn Standard Edition for PS4, Xbox One & PC for $40. 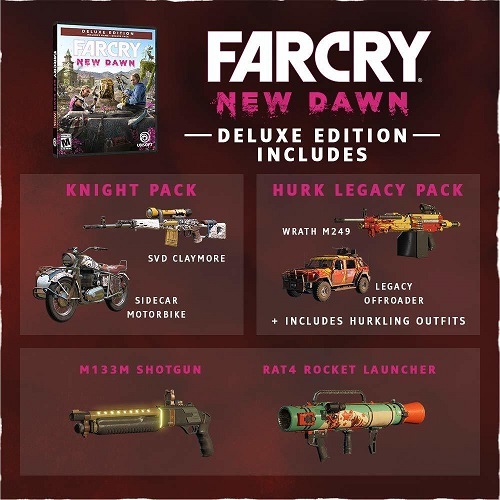 You can buy the digital deluxe edition of the game which comes with extra sets of in-game items, including the Knight Pack (which includes SVD Claymore & Sidecar MotorBike), Hurk Legacy Pack (which includes Wrath M249, Legacy Offroader & Hurkling Costumes), M133M Shotgun, & RAT4 Rocket Launcher. You can preorder Far Cry: New Dawn digital deluxe edition for PS4, Xbox One & PC for $50. Far Cry 5: New Dawn is set to release on 15 February, 2019 on PC, Xbox One & PS4. Far Cry: New Dawn will not run if your PC specifications are lower than minimum requirements of this game. 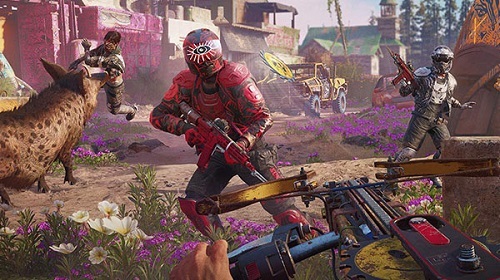 For optimum performance make sure your PC specifications are equal or higher than Far Cry: New Dawn recommended requirements. Watch Far Cry New Dawn official gameplay launch trailer. Check out Far Cry New Dawn gameplay release date. Watch Far Cry New Dawn announcement trailer. Watch Far Cry: New Dawn full game walkthrough with no commentary. Check out Far Cry New Dawn gameplay walkthrough that covers the full game with all cutscenes, all boss fights & ending. 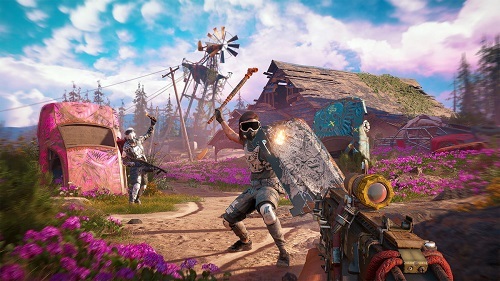 Far Cry: New Dawn is definitely going to be a big hit.